NCERT Solutions for Class 4 English are given for the students so that they can get to know the answers to the questions in case they are not able to find it. It is important for all the students who are in Class 4 currently. 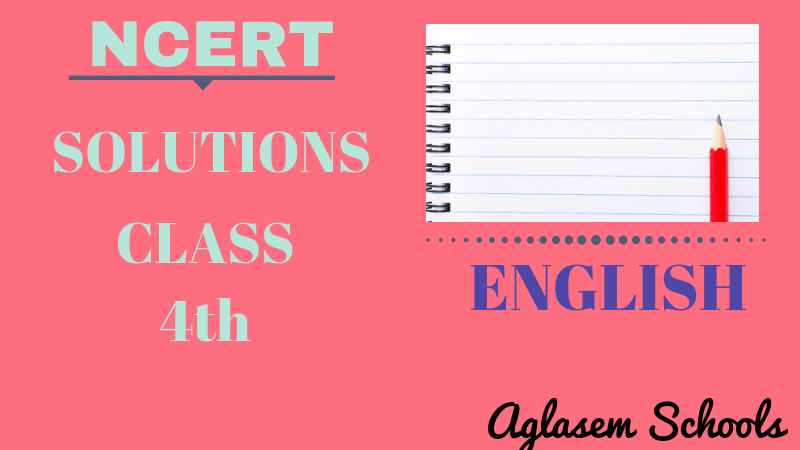 Here we are providing the solutions to all the chapters of NCERT English Class 4 Textbook for the students. They can refer to these solutions while they are solving the questions from the textbook. The students who are in class 4 and have the NCERT affiliated English Books can check this page to know the solutions for all the chapters of EVS book. They need to ensure that they are checking the solutions for the chapter which they intend to check. We are giving the links for the solutions to all the chapters. The students can click on the link to see the solutions for each of the chapter on English subject. The NCERT Solutions for Class 4 English are important for the students of the same class. Through these, they can get answers to those questions on which they get stuck. These are the valid solutions and students can check these whenever they face any confusion in the questions.